NEW YORK CITY (WABC) -- New York City is hiring people right now to help shovel snow across the city following the weekend's massive snowstorm. 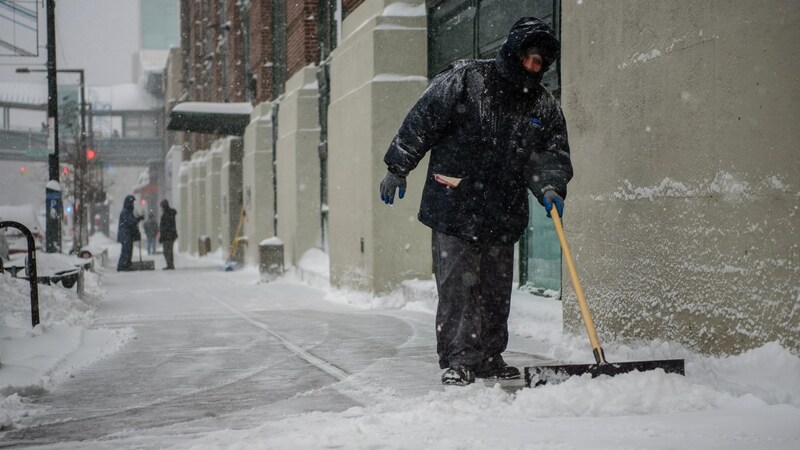 The sanitation department said it's looking for laborers to remove snow from bus stops, crosswalks, fire hydrants, step streets and other locations throughout the city. The pay is $13.50 per hour, with the pay increasing to $20.25 per hour for overtime (after 40 hours are worked in a week). "This was one of the worst storms to ever hit New York City, and we need all hands on deck to dig us out," said Mayor Bill de Blasio. Anyone interested should go to at any one of the sanitation depots across the city. Click here for a map of locations.